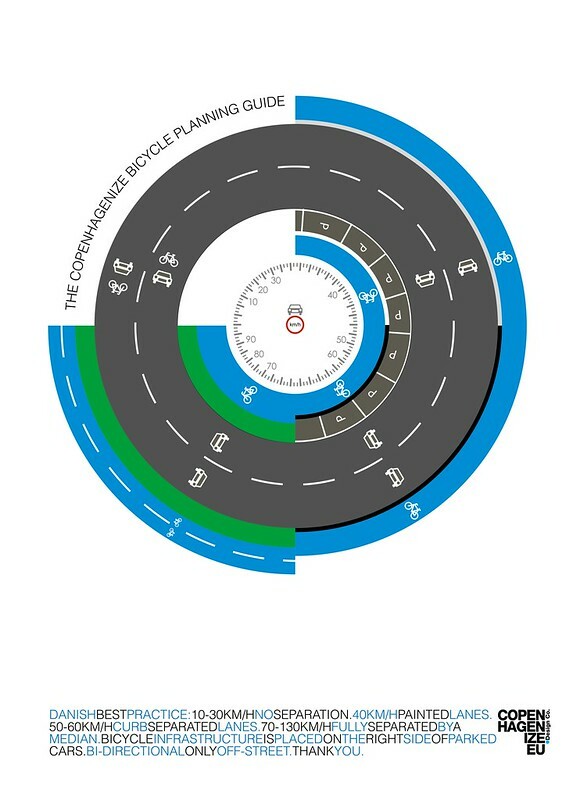 In the interest of expediting the journey towards bicycle-friendly cities and eliminating misconceptions, Copenhagenize Design Co. has produced The Copenhagenize Bicycle Planning Guide. The beauty of the bicycle infrastructure network in Copenhagen is the uniform design of the infrastructure. There are, by and large, four types of infrastructure - all represented in this graphic. Based on the speed limit for cars, you select the appropriate style of infrastructure and off you go. If you fancy sending your local planner/engineer a gift that keeps on giving, this graphic is also available as a poster.